Are you ready to stretch your imagination and practice the following Hawaiian technique called ”Clouds of Color” described in Dr. Serge Kahili King’s book Instant Healing? This is a very simple exercise using your imagination and intention. First familiarize yourself with the healing energy of the following colors. 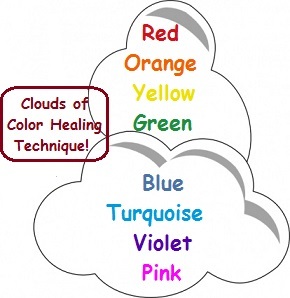 Next, select the color of cloud you want to use for healing and begin to visualize this cloud wrapping around all of you or the part of your body that needs physical, emotional, or mental healing. Intent, simply means imagining a specific healing effect that you want the color cloud to have. Surrounded by bright orange or yellow can increase your strength and endurance. A soft green or blue cloud can reduce swelling or relieve tension. You can use color clouds and imagination for any healing needed! I am so intrigued with the ancient wisdom of Hawaii and the voice of the contemporary school and movement called Huna that is being taught by Serge Kahili King, PhD. 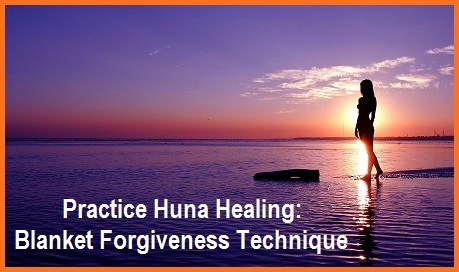 I have shared several Huna Secrets in past blogs, and have decided to create a new category designated to the teachings of Huna. First in practicing blanket forgiveness, you assume that in any current condition of pain or discomfort there is some anger involved, even if you don’t know what it is about. Begin touching the area of your body that is in pain or discomfort with the fingers of either hand and say, “Whatever this is related to, I forgive it completely and it doesn’t matter anymore.” Most of the time you will experience instant relief. You can continue to repeat this statement for one minute, with the full focus of your attention, anytime or as often as it is necessary to help remove the anger causing the pain or discomfort.